WHAT BETTER PLACE TO TALK ABOUT THE IMPENDING collapse of the restaurant bubble than in the space of a soon-to-open restaurant? Bar Biscay, the new restaurant from mfk. owner Scott Worsham and his partners, is close to being finished in a West Town space that between us, we’ve been able to name five previous tenants of, all defunct—Sonotheque, Pharmacy, Darkroom, Leopold, and Unite Urban Grill. 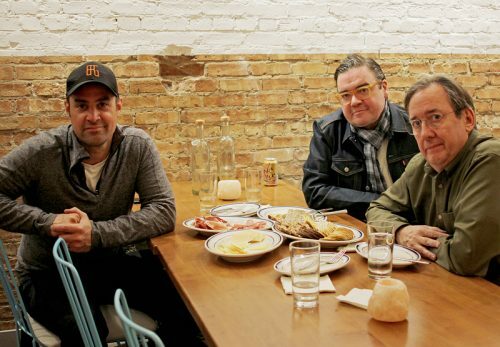 But hope springs eternal in the restaurant business in Chicago, so we’re here to talk, sitting in the future #6. Because bubble or not, people will continue to get it right all over town, and when you get a restaurant right, it’s magic. A year ago I was inspired to gather a few restaurant folks together to talk about the food scene, after listening to Worsham and Boka Group co-owner Kevin Boehm talk at the opening of GT Prime (one that got it right). 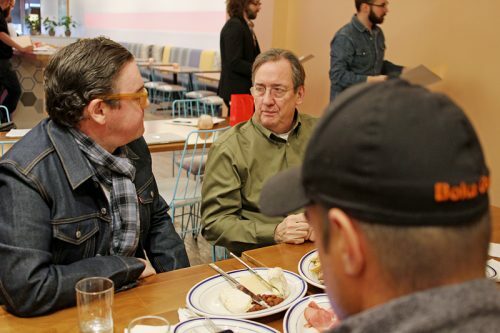 In the end Worsham couldn’t attend, and I wound up publishing an in-depth conversation between two restaurateurs from considerably different worlds, Boehm and Lula Cafe owner and farm-to-table pioneer Jason Hammel. That conversation focused on the concerns of 2017, which were primarily related to people—how to find them in a tight labor market, how to pay them enough and survive, how to make crazy restaurant life sustainable. In 2018 the concerns are mainly about one of the main drivers of a bubble—a booming real estate market. Scott Worsham suggested this year’s lineup—first, Scott himself. 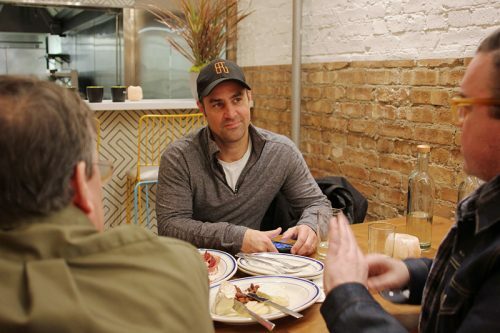 He and his wife Sari are veterans of many restaurant groups in Chicago and elsewhere, and owners of mfk. in Lakeview as well as opening Bar Biscay soon in West Town. Second, Kevin Boehm of Boka, which has now opened three of the four new restaurants he promised at the start of last year’s conversation, mostly downtown, including Somerset and Bellemore. And third, Michael Roper, owner of Andersonville’s The Hopleaf, which both rode and helped guide the rise of craft beer in Chicago, and recently celebrated its 25th anniversary. Here’s what they had to say. FOODITOR: I’ve been hearing talk about a bubble in the restaurant business, too much money going into an unsustainable number of openings without enough talent to staff them, for more than a year, maybe two or three. 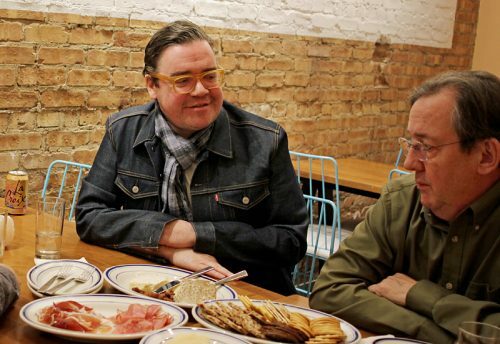 And Peter Frost’s piece in Chicago, “Is The Dining Boom Over?” seemed to be taken as confirmation of it by the food community. As he observed, “The number of leisure and hospitality establishments [in] the metro area is up 7 percent from just five years ago and a whopping 21 percent from 2007, reaching 24,500 at the end of 2017’s first quarter… even as the population has declined.” You could hardly define a bubble better than that. And yet we’re sitting in Scott’s new place, and Kevin opens a new place every ten minutes, and even the Hopleaf doubled in size just a few years ago. Someone must still believe in the restaurant business, even though it’s all a bubble that’s going to burst any moment and destroy everything. SCOTT WORSHAM: Well, I wouldn’t go that far. KEVIN BOEHM: Nobody dissects all these restaurants when they go out of business, because they’re not going out of business because of the bubble. There’s a different reason for every restaurant. Sometimes they’re a terrible model to begin with. Sometimes the personalities clashed. WORSHAM: Sometimes they’re cursed from the time they signed the lease. BOEHM: Sometimes it doesn’t resonate with the public, or it never resonates with the critics and the writers so nobody ever finds it. There’s a million reasons. So I read these articles, and it makes great ink to blame it all on the bubble and what’s happening, but that’s just part of the story. MICHAEL ROPER: A lot of people open restaurants for the wrong reasons. There are people that are trying to sell restaurant space, and they approach would-be entrepreneurs, and they’ll show them all the numbers about the disposable income in the neighborhood, and what age groups live here—but what they don’t show them is how many other restaurants are already there. Often the neighborhood has reached saturation, and people are pretty content with the choices that they have. Somebody opens a place anyway, and then two years later they close, because they never really should have been there in the first place. WORSHAM: It all comes down to, is your labor cost right, is your food cost right, do you have strong enough hospitality that’s bringing in people and keeps them coming back? The things that make restaurants work are still the same as they were thirty years ago, for the most part. There are a lot more extra costs—and I don’t just mean that you’re paying people more per hour, there’s a lot more people with their fingers in your pocket than there used to be, whether it’s Open Table or whoever it is. BOEHM: Building a realistic pro forma [anticipated financial statement] from the beginning—Rob [Katz] and I look at peoples’ business plans all the time, and a lot of times, they’re pie in the sky numbers, not based on any reality, and they hire people and give salaries based on those numbers, and then they’ve done stuff that they can’t ever achieve. What’s interesting is that Chicago is still a really great market. You can’t do the kind of grosses in Austin that you can do in Chicago, if you hit it. I think we write probably 15 pro formas before we actually open up a restaurant, and we just keep thinking about it. The one that we go with is always really conservative—I think maybe once we’ve written a pro forma where we thought we were going to do more than we actually did. The Girl & the Goat, we [forecast] a third of what it actually did. We had no idea it was going to do so well. WORSHAM: Well, that was a unicorn, right? We actually talked to some investors in the last year or so and one of them said, I’m looking for the next Girl & the Goat. Yeah, aren’t we all, buddy? Seriously? That’s a Lotto win! BOEHM: Back when we had investors, we don’t have them any more, but that was one of the last ones we did, and Girl & the Goat paid investors back in nine months. That’s the land speed record. We did Girl & the Goat and GT Fish & Oyster back to back, and GT was like 17 months, and then we kind of looked at it and said, the cost of capital is pretty high, and we self-funded after that. ROPER: I think there are some new, rather unique challenges to the restaurant business that are not things I think we faced before. I look at our customers, and their daily habits, and they’ve changed. People used to depend on going to a bar or a cafe for their social life. Some of that social life now is spent in front of a screen. People maybe don’t go out as much as they used to, they don’t stay out as long as they used to. People have all kinds of options now other than going out to eat—they have delivery food options that they never had before. They have prepared foods at supermarkets that they never had before. So it does mean that maybe the audience on an every-night basis is a little bit smaller than it was before. We’re also in a city where our population is not growing. If you’re opening a new restaurant in Austin, Texas, where every week hundreds of new people move to that city, it’s easier to succeed because you have new mouths to feed, you have people that need to go out to engage with their community. Here, it’s a very static number of bodies that we’re trying to reach. BOEHM: Yes. But what’s interesting is that Chicago is still a really great market. You can’t do the kind of grosses in Austin that you can do in Chicago, if you hit it. WORSHAM: You mean just because it’s a bigger audience? BOEHM: I don’t know how to define it except in terms of gross revenue. 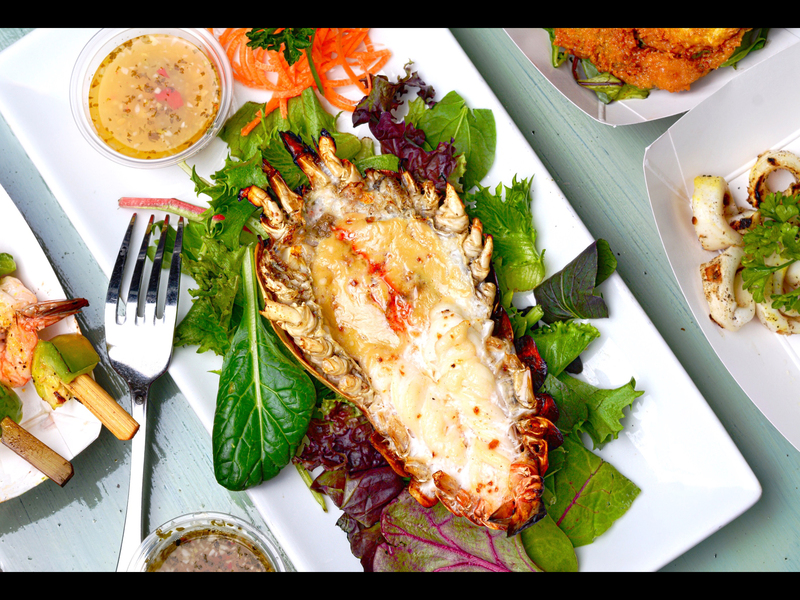 There are certain cities that you can do $20 million in gross revenue, and Chicago, being one of them, has several restaurants that do that. There are many cities where you can’t even do $10 million. I don’t know the whys of it—I don’t know if it’s density, or industry. A lot of times, to do those kinds of numbers, you have to be busy at 4:30 and you have to be busy at 11 o’clock at night. And cities just have cultures, of whether people dine late or they don’t dine late. The reason you can do big numbers in New York is because you have density all the time, you can keep it full all the time. You can do that in Chicago, but you couldn’t do that in Nashville, as much, when I had a restaurant there. It was a different culture. There weren’t a lot of things like Second City, and Steppenwolf, and Bulls games and Blackhawks games to fill you at 5 o’clock. ROPER: We still have a huge convention business here, too, that does not exist elsewhere. There’s only a few cities that can have a convention that attracts 50,000 people. We can have multiple events in town at the same time, and when people go to these events, they plan on spending money, they eat out, they go to a show. BOEHM: You’ve got to be the highest-grossing place north of Lincoln Park. ROPER: We’re the highest-grossing place anywhere near us, and I think it’s got to be because we’re drawing a mix of locals, out of town people, people from the suburbs—although I do think that our reach is shrinking because there are good options [for craft beer] in other neighborhoods. We used to get a lot of people from the North Shore, Evanston—I mean, what was in Evanston in 1992? Nothing! So we see those people less often than we used to, and it means we’re a little more dependent on people within a ten or fifteen block radius of us. That’s not a bad thing—it just means we have to identify who those people are, and keep them happy. FOODITOR: One of the big, big factors driving this idea of a bubble that’s about to burst is the real estate market. And that’s perpetually an under-told story, I think, how much the restaurant industry is driven by the realities of real estate issues—for instance, one reason Chicago developed all these restaurants that are built around three-hour tasting menus is that you can find a place to open here where you don’t have to turn the tables in an evening, and you couldn’t do that in Manhattan. So you could be Moto, or you could be Schwa here. Obviously the West Loop, where Boka has a number of restaurants, is a total hothouse of real estate speculation right now. Tell me how real estate factors in for you in wildly different parts of the city. BOEHM: The West Loop is the perfect case study because we can go back eight and a half years ago, when we were looking for a spot for Girl & the Goat, and it was $15 a square foot. Marché had gone out of business, Red Light was going out of business, 160 Blue went out of business. It was all open storefronts there, we were in the teeth of the recession, and it was fifteen bucks a foot. And this is what happens to all these restaurants, this is what happened to Danny Meyer in Union Square Café. Neighborhoods are built on the backs of great restaurants, and then the real estate prices go up-up-up-up-up, and at some point it becomes cost-prohibitive to open up a restaurant. And that’s what it’s getting to be in the West Loop. WORSHAM: I don’t think you even need to go back eight years in the West Loop. You just need to go back two. WORSHAM: When it was $45 a square foot. What is it now, $75? BOEHM: People are signing $70 and $80 deals now. BOEHM: I’ll just say, Rob and I won’t sign an 80-buck deal, there’s no way we’d do it. Then it’s about, what’s the next frontier, and finding it. I like West Town a lot, especially the closer you get to Halsted. The whole West Loop’s gonna bleed this way, you gotta figure. I feel like, because retail storefronts are kind of going away, that people are still going to have buildings and they’re still going to need people to go in there, so restaurants are going to benefit from it. They’re going to need us more than they do. But right now in the West Loop, that’s who’s moving in and driving people out—stores like Anthropologie, and chains like Umami Burger and Nando’s. WORSHAM: They’re the only ones that can afford that $80 a square foot. BOEHM: They do things for different reasons. People open up retail shops in big cities as a marketing piece to drive their online business, and they’re less worried about actually making money at the store level. ROPER: In our kind of neighborhood, though, we’re losing all of our retailers, because we don’t have the population density, it is not a good place for a flagship store. We have a lot of empty storefronts, which hurts our lunch business. The foot traffic is gone. We used to do a lot of business with shoppers, or at 5 o’clock with the clerks who worked at the businesses, and they’re gone. I’d hate to see Clark Street become just bars and restaurants. We need other kinds of businesses, feeder businesses. I don’t know how much entertainment value I get out of walking somewhere to pick up shampoo. I like the social aspect of going to a restaurant. And that’s become really tough for retailers—you can have a conversation about our challenges, but our challenges are nothing compared to the challenges of retailers in a brick and mortar store. Even in the suburbs, you’re seeing entire shopping malls closing. WORSHAM: I’m not against the shopping malls closing. The good news for us is, I don’t know how much entertainment value I get out of walking somewhere to pick up shampoo. Where we provide something that, I don’t care how automated things get, how good the food is that’s delivered, I like the social aspect of going to a restaurant. There’s always going to be a place for us. ROPER: We need, though, to find that thing that brings people to the neighborhood and then, as an ancillary activity, decide, hey, I’m gonna go have a beer and some lunch. I think it’s more difficult in places that were serving lunch, because we were all depending on retailer shoppers, and they are gone. At night, there’s other things that can draw you, like theater. WORSHAM: Do you see a solution for that, or is it just the world we live in? ROPER: I think it’s the world we live in. Retail shopping is going to continue to decline, so there’s going to be less foot traffic—and it’s going to be a challenge for landlords to think of some other use for the tens of thousands of mercantile buildings like this one, that have a storefront in them. It just cannot be the case that every single one of those is a bar, a restaurant or a cafe. BOEHM: We own a couple of our buildings. We own three of our buildings. But at certain points we get ahead of it, and we ask for more options. I think we’ve got ten years left on Boka, we’re in year 15, so I hope Boka’s open in 25 years. BOEHM: A ten year lease with three five year options? WORSHAM: Because if everything goes belly up, what do you have to sell? You have your lease, and your liquor license. Nobody wants your stuff. Nobody wants your stools, and your lights, or anything. ROPER: It’s remarkable how the value of those things is… nothing. I rented for quite a few years before we bought the 5148 N. Clark building. And in 2000 in Andersonville, things were pretty cheap. So we bought a 35-foot-wide building, that at that point had three apartments, and a garage and a back yard, for $310,000. Really glad we bought it. In 2009 I bought the building next door. Which was a 25-foot-wide building in terrible condition, with none of those amenities, for $1.3 million. ROPER: Now, what if I was my 1992 self and I was coming into Andersonville now to buy a building? Forget it. It’s not gonna happen. All the buildings that come up for sale in Andersonville are bought by big real estate companies. New Castle is a really big buyer, and they approach me all the time—wanna sell your building to us and lease back? No, why would I do that? Well, then you’d have all this capital that you could then open three or four other locations. They’re right about that, except I don’t want three or four other locations. WORSHAM: Well, let me ask you guys this, then, talking about the landlord-real estate situation. We obviously don’t have any kind of regulation regarding rent control, do we? So landlords can do whatever they want to do in terms of, your lease is up, they can boot you out even though you’ve been there 30 years, in the case of Union Square, screw you, you built the neighborhood, I’m going to boot you out because I can and rake in a lot of money. Should we not be pushing, as restaurant people, for some sort of real estate regulations? WORSHAM: —Because the landlord makes money for a short amount of time, you kill the neighborhood, and then the process has to start all over again with eventual gentrification. BOEHM: But you’d kill investment dollars into real estate, if you put a control on how much money you can make. ROPER: But what we can do, is lobby about property taxes. Because a lot of the reason that your real estate costs are going up is not the greedy landlord, it’s that property taxes on commercial property are significantly more than residential, and that gets passed on to the tenant. I mean, my property taxes, every two years, they go up. I protected myself by buying my buildings, but I have no protection against the property taxes. BOEHM: You know, back to what you were talking about having an entertainment draw in these neighborhoods, so that people are walking around these neighborhoods, I was really fascinated when I went to Asheville, North Carolina recently. And if you’re in the downtown business district, they don’t allow any franchises to lease any of the spaces downtown. So when you go downtown, it’s all independent businesses. And they all thrive. WORSHAM: So that also goes back to regulation. BOEHM: It does. But also neighborhoods need to kind of band together, and form an identity for their neighborhood, and they can do different kinds of things that still draw people. ROPER: We have a Starbucks in Andersonville, we have a McDonald’s, but the vast majority of the businesses are independent, single location, locally owned businesses. And I think it makes our neighborhood more appealing. People notice that it isn’t just like every other place they go. One of the great problems is sameness. People go to other cities and they see the same restaurants, and the same shops—I find it depressing that you go to Paris and there’s a Foot Locker. I don’t want to see a Subway in Paris. BOEHM: You don’t, but I think the world’s changing that way. In the 70s and the 80s, there was a comfort with something that there was 500 of them. People in Springfield, Illinois in the 1980s wanted to go to Olive Garden, because it’s true and trusted. But today’s generation wants something that feels artisanal. I don’t think you’re going to see as many people banging out 3 or 400 of something. WORSHAM: But if the West Loop had had a regulation in place eight or ten years ago, saying no chains allowed, that would have led the landlords not to jack up rents so much, right? BOEHM: Well, I hope the people that are down there as developers are pretty likeminded—I mean, you’ve noticed there’s no CVS pharmacy on Fulton. WORSHAM: I’m sure it’s coming. BOEHM: I know that they’ve looked, and I know that they’ve passed on doing something like a CVS pharmacy because they want to preserve the charm of the area, and I hope that mindset continues. I find it depressing that you go to Paris and there’s a Foot Locker. I don’t want to see a Subway in Paris. ROPER: Ballast Point is moving into Fulton Market. ROPER: Ballast Point, the San Diego brewery. For my business, this is a very frightening development. National craft breweries are finding they’re having trouble selling in other markets, because of this locavore thing. So they are opening flagships in other cities. They’re going to open a very big brewpub, about 20,000 square feet. Businesses like mine will have to compete against them, as well as the 73 tap rooms that exist in Chicago. And they’re definitely going after my customer—I expected that I’d have to compete with Half Acre or Revolution, they’re going to have a tap room. But now—what if Sierra Nevada and New Belgium all decide to come in? BOEHM: Well, the good news is that Chicagoans have a very discerning palate, and they don’t seem to like outsiders. There still is this kind of protective bubble over Chicago, to a certain extent, that people who come from other cities and try to open up stuff here, they don’t do well. You have to become an insider-outsider, the way Lagunitas has made themselves kind of a Chicago brewery. ROPER: Because Tony Magee grew up here, he is a Chicago guy. WORSHAM: But you have how many people coming in here from Brooklyn with their concepts, whether it’s bowling, or what’s the new one, shuffleboard—something that worked in Brooklyn. I don’t know if it’s going to translate here. BOEHM: I like that stuff, though. I like the entertainment stuff. I think Emporium’s doing well on Fulton Market. ROPER: Do you know anything about this new place that’s opening south of us, the Chicago Magic Lounge? They took over an old commercial laundry building, and they spent a ton of money on it, and it’s set up like a dinner theater, and it’s magicians on stage and magic at the table. BOEHM: We have a magician who works the tables at Swift & Sons. BOEHM: He had done magic in the Pump Room in the 80s, and he said, I’m really looking for a room where I can do magic again. So the manager says, I’ll call Kevin and Rob over, and he did magic for us in our office. Because there’s a very fine line with magic between cheesy and cool. But he’s an elegant man, and he’s spectacular. So he works five nights a week now. We send him to tables, or you can book him for your table. ROPER: Well, now there’s going to be a whole restaurant devoted to that. WORSHAM: Are there that many magicians in Chicago? ROPER: Well, since they’re not open yet, they had a staff meeting at Hopleaf, and there are about thirty of them. WORSHAM: Did they disappear when the check came? WORSHAM: Do you guys ever look at a concept that somebody announces and just do the dead pool thing, give them six months? Though I’ll tell you one that got offered to us, and we thought, no way it will ever work, and it worked, was Restoration Hardware [in the Three Arts Club, operated by Hogsalt]. At that time they didn’t have the location but they were like hey, do you guys want to do a restaurant inside a store, and we just couldn’t wrap our brains around it. “A restaurant, inside a Restoration Hardware? Huh?” And I went there about the third Saturday after they opened and they had done 1200 covers that day, and I just thought, guess we missed that one. But this conversation’s out there a lot, of combining retail and food. Okay, maybe one of the ways we can make retail work is to add a food and beverage experience to it. We’ve gotten quite a few phone calls about it. WORSHAM: You have all these developers now with their condo building-slash-offices with a food hall component. Though a lot of what I’ve been reading is that the food hall is kind of a show thing—the food hall’s not making any money. It’s like the fitness center, it makes them money by helping the building stay full. BOEHM: What I think’s going to happen is that there’s going to be a lot of management deals. Management deals are a great hedge in any economy, because you don’t put any money into them. Retail needs restaurants, and there will be more management deals out there for people who are great operators because they need a draw for the building. I’m not saying that we won’t ever take something that we’ve already done and do another one of them. But the artists in us… don’t find it as interesting. People are approaching restaurants from a much more intellectual level than they used to. Thirty years ago, you could kind of grunt your way through it, you could grind your way through it. You didn’t have to have a ton of business sense, you could do a mom and pop restaurant, and you could succeed despite yourself. I know that because I was an idiot in my first restaurant. And I was still able to make money. The only reason I survived was because of the model—I paid $450 a month in rent, I had six tables, I quickly found out that six tables was a bad size and I expanded to ten tables, and we really didn’t make any money but I kept my tips and I paid myself a thousand dollars a month. So I was able to live, and survive, and make a ton of mistakes, and part of my bachelor’s degree was doing that. I wouldn’t have that benefit, I think, these days. WORSHAM: You can’t afford to make the mistakes that you were talking about, these days. ROPER: It’s really hard for the little mom and pop ethnic restaurants that we used to have to open up in the city now—the Thai restaurants and the burrito joints. I don’t know how that model works any more, with the real estate the way it is, and labor. ROPER: Oh my God, yes, the airports. WORSHAM: What about you, Mr. Boehm? Why are you not in the airports? BOEHM: The airports are an easy one. You have to trust someone else to run your place for you. The brand risk is not worth what those contracts get, and I think that every time Rob and I would think about it, we’d get the shivers. You’re going to get these texts, hey, I went to GT Fish at the airport and it was terrible, what are you guys doin’ out there? ROPER: And they’re unionized. I have a former employee who worked at the airport at Publican. Someone with more seniority at Chili’s took her job, and she had to go work at Chili’s. BOEHM: Vegas is another story. I’m not saying that we won’t ever take something that we’ve already done and do another one of them. But the artists in us… don’t find it as interesting. So we haven’t done it yet. There’s always been stuff that we wanted to open up here, first. I can’t tell you how many offers we’ve had to do Girl & the Goat, to do GT Fish or Momotaro. We’ve kicked the tires on a lot of deals, but Vegas has never seemed that interesting to us. WORSHAM: I figure if Danny Meyer can cave, anybody can cave. BOEHM: We almost did. We almost did GT in Vegas, in fact we were really close. And then… we didn’t. But you are working with hotels now. And that’s one thing I keep hearing food writers say, all the restaurants this year opened in hotels. And hotel restaurants have a certain stigma sometimes. How has that been for you? BOEHM: Well, the first thing is that there’s a difference between a hotel restaurant, and a restaurant that happens to be in a hotel. For us it’s always about, is it branded enough away from the hotel that it seems like a restaurant that just happens to be there. At Somerset and Devereaux, the difference is that that’s not a management contract—those are our spaces and we just happen to be next door to the Viceroy, and the Viceroy guests also use our space. BOEHM: That’s right, on the room service menu. And we went into that whole thing not only with room service, but banquets, thinking, we don’t want them to be the typical banquet dinner, let’s try and do really beautiful food. And that’s what we’re trying to do. We also made it hard on ourselves because we wanted to do something interesting on all levels. And it took a lot of people—one of the things that was tough about that space was that it was hard to find enough employees. 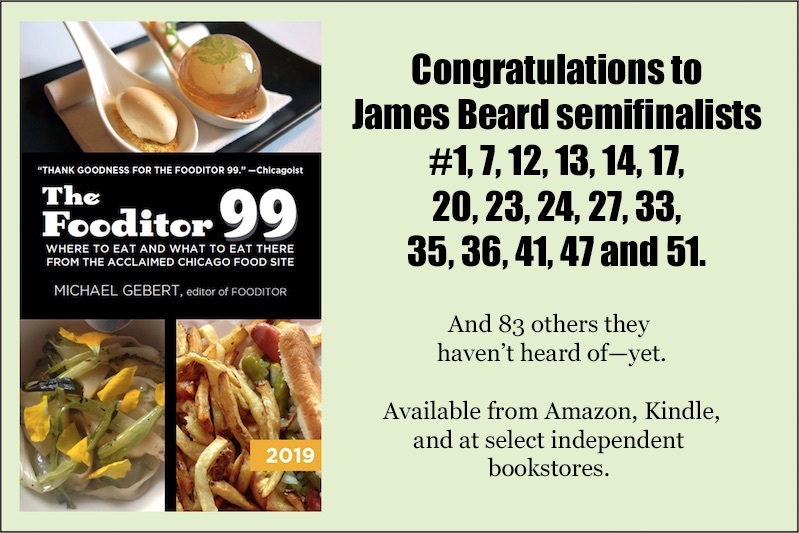 FOODITOR: Well, let’s talk about the labor side of things for a moment, because obviously that’s the thing you hear from everybody right now, that the pool of good employees gets tighter and tighter. So what’s the answer? You can outbid other people for employees, but that’s not necessarily good for you in the long run. BOEHM: Yeah, and there’s no outbidding on the front of the house. We used to hold open calls, and at Girl & the Goat’s open call I think a thousand people showed up over two days. Even Boka, when we opened, I think 500 people showed up. I think thirty people showed up to the first Somerset open call. Thirty. And we’re like, uh-oh. ROPER: Two things have happened, which is that the general economy is better, so there are other choices and people who maybe would have felt that working in a bar or restaurant was one of their only alternatives, now have other alternatives. And then the tightening-up of immigration is not good for our business. I’m not for building a wall, I’m for opening more expressways to bring the rest of the world into Chicago. WORSHAM: I think it’s got to be way harder for somebody in your position at the Boka Group, because you guys open so many restaurants so frequently as of late, and they are so much larger than anything I would ever accomplish, or ever even try to accomplish, that it’s got to be hard to find quality people. Where somebody like us, we’re so small at mfk., and not that much larger here, that we can still find good people—because we don’t need as many. BOEHM: Education is more important than it’s ever been. It was always important, but now the base level of employee that we’re getting to start may not be… as sophisticated as we got four or five years ago. WORSHAM: Well, the old pros don’t exist any more, really. BOEHM: We train a really long time, we train for thirty days. We keep extending how long we train, and it becomes a larger item on our opening budget. WORSHAM: That’s definitely not a luxury must people can afford. BOEHM: They can’t, and I couldn’t afford it for a really long time. At the Viceroy property [Somerset/Devereaux], Lee [Wolen] was in the space for 21 days, just cooking, training, all that stuff, before he even served one person. And then he had test kitchen, months before that. And then we like to have at least 30 days with front of the house. We even do staff on staff [staff acting as customers to be served]. We’ll do two staff on staffs, and then we don’t do friends and family per se any more, but we do live training with Boka Group employees, we do four days of that. Then we take a dark day and then we open. It’s expensive, but, going back to the unforgiving part, you have to do it. Especially living in a world where everyone’s going to judge you from day one. WORSHAM: I have mixed feelings about that, the whole you’re getting your first Yelp review three minutes after you open the front doors thing. You’re charging the same money after ten minutes that you are ten weeks after opening, so you gotta be on point. There’s spreadsheet reasons to change a restaurant, and there’s emotional reasons not to change a restaurant. And you’re being talked about early—well, the alternative is not being talked about early, so which one would you want? BOEHM: I agree. You know, it was pretty difficult to survive in this town in 2003 and 2004 if you got a bad Bruno review and a bad Vettel review. There wasn’t as much online, Open Table reviews and Yelp reviews and that sort of thing. If you got killed in the Reader, the Tribune and the Sun-Times, you were done. You can survive a bad review in print these days. ROPER: A lot fewer people read those now. My employees who are under 30—a newspaper is like an alien thing to them. That’s not part of their world. BOEHM: It gets a lot of play on Facebook, though. WORSHAM: But the news cycle is so much quicker now. There’s another new thing out there to take your eyeballs away in another thirty seconds. Well, and that’s just the pace of openings, eight new things open each week. And the publications maybe review 24 or 30 things a year. So how many places will even get reviewed? On the other hand, you have other ways to get attention now. So you make the Instagrammable dish, like Bellemore’s caviar pie, and you get attention that way. WORSHAM: We were talking about that before, the listicle thing, the clickbait—I don’t see that we’re ever going to get away from that. That seems to be the new permanent way that the world is, and it’s no good for anybody in this business. BOEHM: When Boka opened, the Tribune never reviewed it. BOEHM: On our first go-round, with Giuseppe Scurato. * That’s how under the radar we were. We’ve gotten two reviews since then, with the Tentori change—that’s one of the nice things, when you do change something you get attention and it reinvigorates it. When Lee Wolen came on, it gave an entirely new birth to Boka. Everybody re-reviews the restaurant again, and we redid the room. ROPER: When we did our expansion, we got so much press. It was covered like a news story, and Crain’s Chicago Business covered it like four or five times. It was huge for us, it made that year. The first full year after that was the biggest year we ever had. Lots of social media coverage, lots of just chatter. BOEHM: What the older restaurants have to do is, there has to be some reinvigoration along the line, to keep it interesting. One of the things I thought about a lot of the closings was, it was places that were about six or seven years old—Vera, Sumi, Ruxbin and so on. Places that were at a certain level and they knew they weren’t going up and they weren’t going down, this is how it would be for the foreseeable future. And maybe at that point you’re just tired of doing it, you want to spend some time with your family, see what else is out there to do. And so that’s kind of a danger point for restaurants. Michael and Kevin both reinvigorated places that hit a certain age, and Kevin closed Landmark entirely and made it into Balena. How do you make that choice? BOEHM: There’s spreadsheet reasons to change a restaurant, and there’s emotional reasons not to change a restaurant. With Boka, it’s our namesake, it’s the name of our company. And I think it would be a little weird to be Boka Restaurant Group and not have Boka. So I think as long as we’re a company, there’s always going to be a Boka. We would always figure out how to make that restaurant work. Then there are other places like Landmark where, the place just wasn’t who we were any more. It turned into a bar, and the restaurant will never kill the bar but the bar will kill the restaurant. It became mostly a bar, and we thought, that’s not who we’re trying to be. We’re trying to be a chef-driven restaurant group. 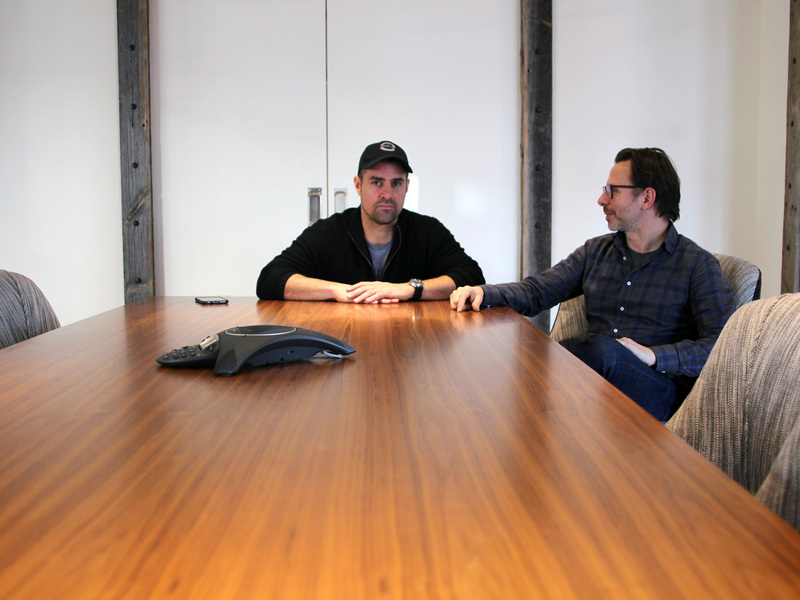 And then sometimes it’s a spreadsheet reason—you look at it and you think I could put $600,000 into this place, with a new coat of paint and we change the bar, and if we do that, we get that new splash again and we can do $2 million more a year in sales, pay it off in two years. When we gutted Boka when Lee Wolen came along, we put more into it than we did originally to open it, and so that was a leap of faith. And a year and a half later, we paid it off. But it was a roll of the dice. ROPER: You know, not every restaurant is destined to be a 50-year institution. They have a life, and sometimes that life might only be six years, but it was a great six years. And then staff members move on, owners have other ideas, people get bored, they get burned out. And you should know when that is. It’s like an athlete, their skills are starting to go. Yeah, I could get another couple of seasons in—but maybe I shouldn’t. We didn’t know, 26 years ago, that we were still going to be around. Fortunately, we are still around. But we are not the same place that we were 26 years ago. We’ve had to make a lot of changes. We have a basic concept that is constant, but there are a lot of other changes. There’s different kinds of seating, different kinds of service, new products. And as long as I’m interested in looking for those new things, we’ll stay open. At some point—look, I’m 64. Am I going to want to do this when I’m 74, or 84? I don’t know. At some point I may decide it’s time to do something else, and Hopleaf’s life is over. 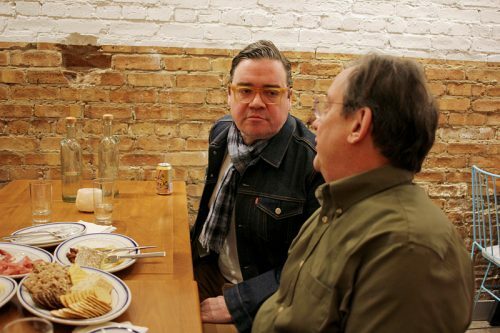 * Editors’s note: Phil Vettel points out that while he didn’t review Boka then, the Tribune in fact did. 6. Who Are the People in Your Neighborhood? FOODITOR: I want to return to a particular side of the real estate question. I think one of the things that’s producing this bubble atmosphere is that we’ve kind of come down to only two neighborhoods where a “big” opening can happen—Logan Square, and the West Loop. 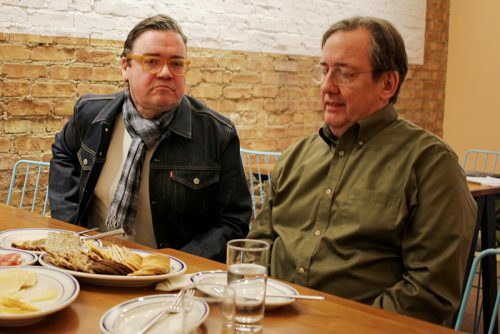 I feel like there used to be more diversity than that—Charlie Trotter could open in a Lincoln Park townhouse and you could have things like Jimmy’s Place way up on Elston when that was really the middle of nowhere, and so on. So of course there’s real estate pressure if there’s only two parts of the city where you can go. BOEHM: We look at each neighborhood—we don’t necessarily like being guinea pigs, but when there’s a competitive set that you can look at, and people chatter enough that you kind of know what restaurants are grossing in different neighborhoods, you kind of know that, if we’re going to open in Avondale, here’s the max that we can do there. And that affects our investment, depending on where that neighborhood is. I think you’re right, it’s tough to be a random place along a stretch. That being said, if you’re as good as Parachute, you’ll find a customer base. But you’re sort of priced out of that. You’re in the big restaurant business, so you’re not going to look in those areas. The Gold Coast is a little bit of a departure, but it’s not like you’re the only ones up there. BOEHM: No, there’s plenty of density in the Gold Coast. WORSHAM: Why do you say Gold Coast is a departure? Just that it’s not been seen as a creative center for hot new openings, like the West Loop is. WORSHAM: But there’s more money in the Gold Coast than in the West Loop or Logan Square. When you guys announced that you were opening Somerset there, I was like, it makes perfect sense, I don’t know why it took you so long. It’s called the Gold Coast, for Christ’s sake! But that’s kind of my point. The statistics will tell you that’s a great market to be in, yet five things will open in the West Loop before the next major opening on Rush Street. 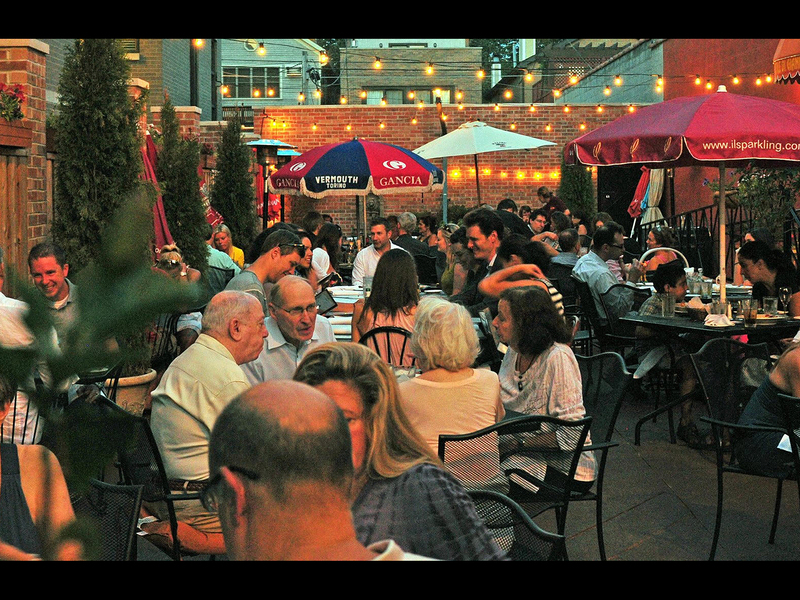 Places become exciting restaurant neighborhoods for reasons beyond the numbers. BOEHM: Because Gold Coast is so expensive. WORSHAM: Expensive and, though you can probably tell me different, a little more limited creatively? Like a ramen place wouldn’t make it there. BOEHM: It would if it were small. There’s a lot more neighbors there now. But you’re right, it’s tough to open a place there that has a $25 check average. We also don’t have anything in, like, the heart of River North. We have GT Fish and GT Prime, but a lot of people open down next to Siena Tavern and RPM Italian. That whole world, we have yet to venture into. WORSHAM: I feel like the Loop should be the next spot for people at your level. Because there’s not a lot really down there except for hotel places. BOEHM: But doesn’t it kind of roll up after five o’clock? If you had a huge map of the city with a thumbtack where the 100 highest grossing restaurants are, it would be a bunch of West Loop, a bunch of Gold Coast, a bunch of River North, and a few outliers. BOEHM: I mean… Hopleaf Loop? WORSHAM: But look at the Cherry Circle Room and the Athletic Association Hotel, they’re crushing it as far as I can tell. BOEHM: They do really well, but you have that whole draw of Millennium Park, that feeds that whole area. We look at this stuff all the time. It’s fascinating to me, if you had a huge map of the city and you said, let’s put a thumbtack where the 100 highest grossing restaurants are, it would be a bunch of West Loop, a bunch of Gold Coast, a bunch of River North, and then there’d be a few outliers. Including the Hopleaf. ROPER: Yeah, we’re lucky that we are one of the exceptions to the rule. But there is definitely a concentration of things where the density is, where the tourists are. WORSHAM: But also, you were one of the progenitors of the craft beer movement, not somebody just now jumping on the craft beer bandwagon. WORSHAM: I feel like I would be remiss, Kevin, in not asking you—when are you going to slow down? BOEHM: We just have one opening this year. WORSHAM: You said that to me last year, three openings ago. BOEHM: It would be impossible to add any more openings to this year. We just have one, which we haven’t announced yet. Are you still taking 2019 off, like you said last year? BOEHM: Well, no, because what happened was, it’s the Hoxton Hotel, and that was supposed to be in ’18, and so it got pushed to ’19. WORSHAM: All in Chicago? No other markets are intriguing to you? BOEHM: There is, yeah. If you look, we have a board behind our desks, a huge whiteboard, and it lists what we’ve done each year, and for 2020 it says, “Another city.” And that’s just because… it sounds fun. I mean, this is not just about opening restaurants and about capitalism. It’s about our lives, and it’s about fun, too, and exploring another frontier, and it sounds really cool. 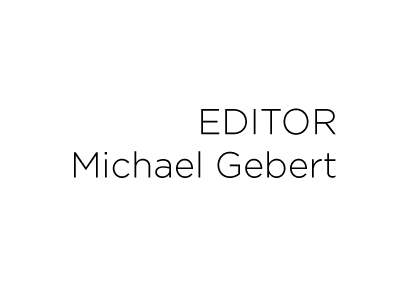 Michael Gebert misses Sonotheque as the editor of Fooditor. Just kidding, they would never have let him in, but he looks forward to Bar Biscay.